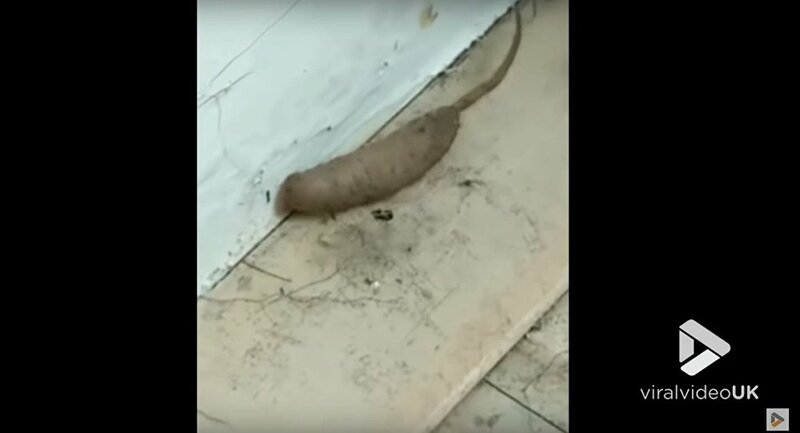 A resident of the British city of Southampton has captured a strange creature that sort of resembles a thick worm with a rat tail on video. A five-inch-long (13 cm) creature that looks like a sausage with a thin tail has been found slinking around the walls of a Southampton home, scaring people. The specimen could be some kind of rat-tailed maggot; these tube-like, three-segmented creatures breathe via a siphon located at its posterior end. However, the normal maggots, which are also called 'mousies' due to their tails, are usually only one or two inches long.